A Seaside Oil sign from the collection of David Aldred. 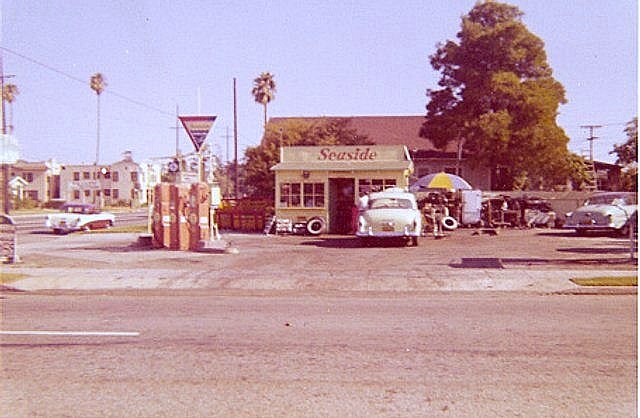 A very small SEASIDE station somewhere in Los Angeles June 1958.
an outside rack and just three pumps. Morro Bay, Calif. June 1958 a couple of days after the above L.A. shot. the majors, there is no price sign here!! Both of above taken by Walt Wimer. 1969 style Seaside map scan from David Aldred, Oct 2003. 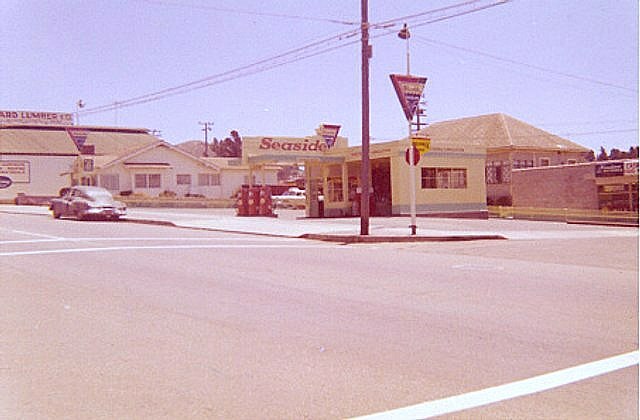 The Seaside Oil Company was founded in Summerland, Calif in 1898 as a production and pumping company. They later got into refining and by the 1920s were into gasoline sales and service stations. and at one point grew to some 900 retail outlets selling SEASIDE gasoline. Tidewater in 1946 after having a partial interest in the company for a number of years. but remember back in the 1930s there were a lot of one pump "dealers" at stores and garages. who were trying to go coast to coast with the PHILLIPS 66 brand. 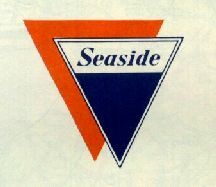 and end the long history of the SEASIDE brand. that Tidewater owner Seaside. There was no mention of such on maps, no credit card exchange, etc. as the one from the 30s that recently went for $224 on eBay. But the much more common "generic"
those logos than of the old, more popular, double triangle. 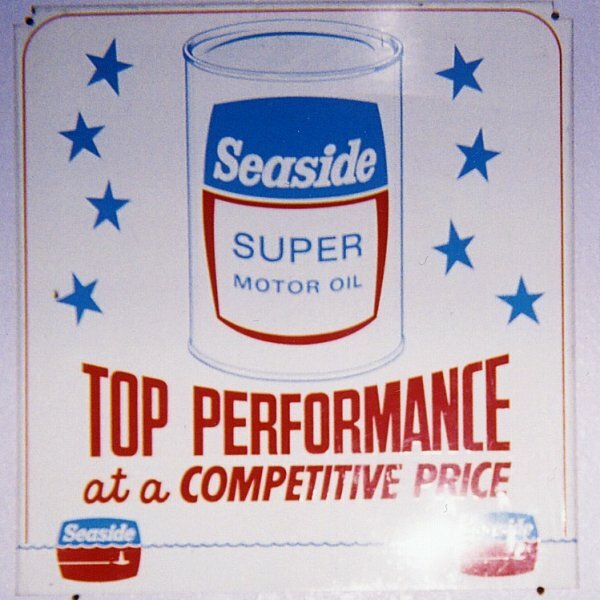 Note: The above history of Seaside Oil Company was compiled by Walt Wimer, Jr.
with aid from a company history article appearing in the November 1995 issue of TIGER HIGHTEST magazine.